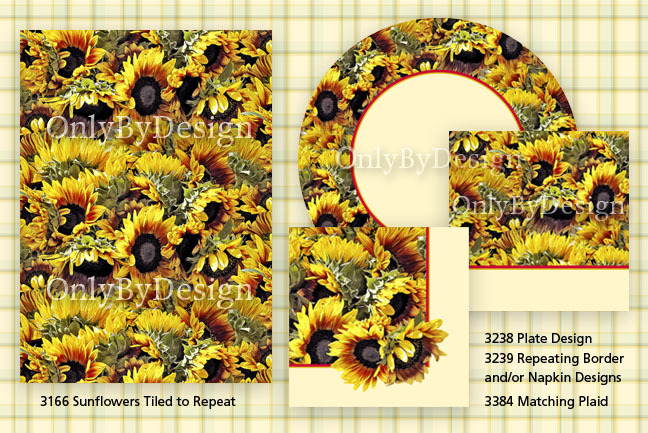 Surface Designs are copyrighted and available for Licensing (Contact me for Details). Usage without written authorization is not allowed. cloth napkins, placemats, aprons, clothing, and accessories like purses, cosmetic bags, rugs, throws, and so on). Manufacturers attend a unique international tradeshow in New York City, to find new art to use on their products. 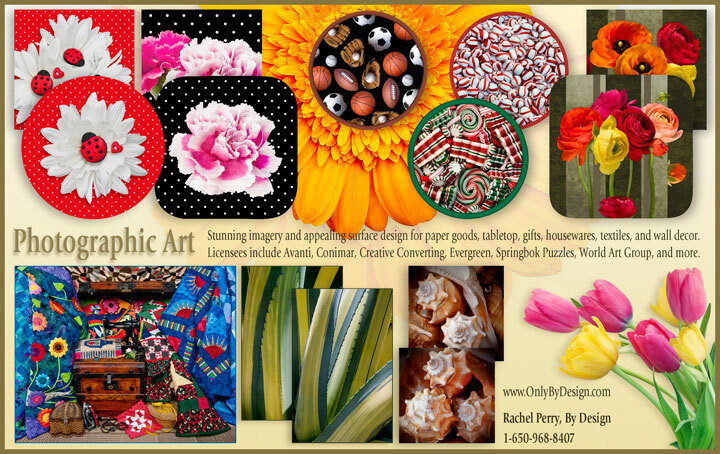 which shows a sampling of my work including puzzles, paper plates (table top), and wall art posters.